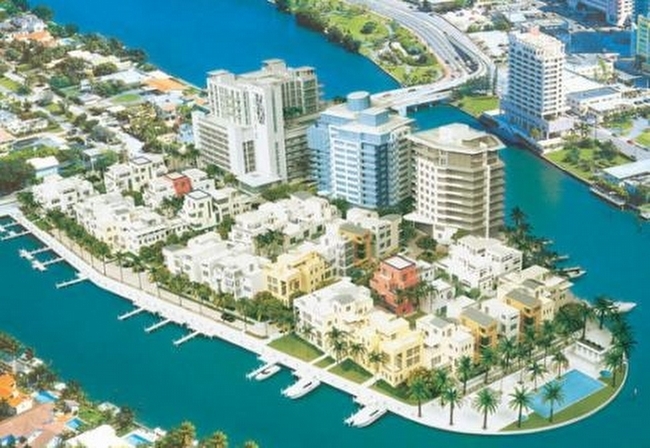 Aqua is a private island community, located on the southern half of Allison Island just off 63rd street in Central Miami Beach’s famed Millionaire’s row. This unique 8.5 acre modernist community of three mid size Condominium buildings and 46 island homes was designed by a collaboration of famed architects that shared a vision of an artistically inspired, outdoor oriented village. An island refuge, Aqua’s multiple colored buildings in varying heights and shapes sit surrounded by water, midway between South Beach and Bal Harbour, only blocks to the beach. Lifestyle rich amenities include a relaxing waters edge pool, deluxe fully equipped fitness center, boat slips, gated entry, concierge, security, pedestrian friendly manicured walkways and waterside promenade, just blocks from the beach. Famed architect Alexander Gorlin’s design resembles a compass, divided into four quadrants crowned by a curving rooftop. The stylish lobby is accentuated with contemporary furniture and art. Only three units per floor, Gorlin residents enjoy intimacy and privacy with 10 foot ceilings, flow through floor plans, and beautiful views protected by extended sunscreen shading the interiors. Magnificent PH’s have solarium rooms facing large terraces with whirlpool tubs. Unique Waterfront Home...Like living in a Town Home or Single Family Home on the Water with Large Lanai (1,152 sf of terraces) and 2,348 sf of interior. Direct waterfront views. Open floor plan great for entertaining. Unique, fully renovated, two level, 3 bedroom,3.5 baths, High Ceilings, Bulthaup kitchen, plenty of natural light and closet space. Separate private entrance. Gated Island living at its best! 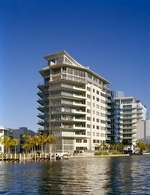 Located on exclusive Allison Island w. 5 star amenities, waterfront pools, state-of-the-art fitness and spa center,kids playroom, 24-Hour guard gated security. Ideal residence for a family. Aqua is also very pet-friendly. Must see this in person to fully appreciate it. Furniture is not included.NOTE:Unbranded Video Tour is available on MLS. Enjoy living in this luxurious boutique mid-rise in the gated private community of AQUA Allison Island, created as living art and home to only 151 residences. This rare SE corner condo features 10 foot ceilings, wraparound balcony, and beautiful Indian Creek and South Beach views from nearly every direction. Enjoy dining on your balcony & entertaining in your open Bulthaup kitchen complete with Fagor induction cooktop, Wolf warming drawer, oversized island & custom glass table. Other upgrades include ice maker, 2 wine coolers, elect. blinds, built ins, 2 parking spaces etc. Relax in your master suite with built out double closets. Master bath boasts soaking tub, double sinks & spa shower. AQUA features a spa, two heated pools, fitness center, all just minutes away from the beach! 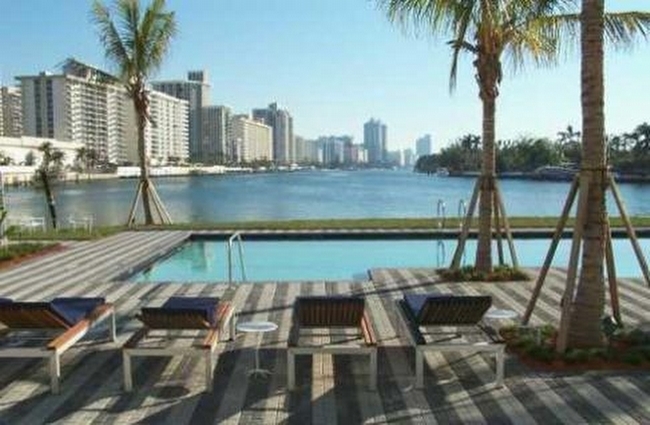 There's Miami Beach living, and then there is Allison Island living. 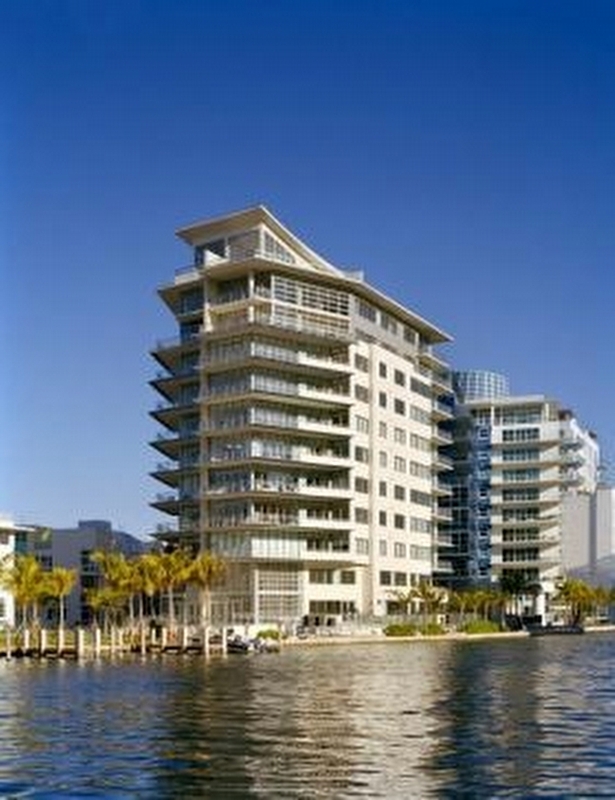 This beautiful luxury condo takes island living into the sky at the prestigious Gorlin Building in the guard gated community of Aqua. The sizable 1,862-square-foot layout offers three spacious bedrooms, three full bathrooms, and one half bathroom. The easterly views over the Intracoastal Waterway provide a relaxing visual escape and are best enjoyed from the residence's expansive balcony. Some of the benefits of living at Aqua include access to a business center, clubhouse, gym, two pools, and a concierge. The residence comes with two parking spaces, and the beach, as well as several area hotspots, are just a couple of blocks away. Take advantage of private island living at the perfect price! Best Price in the building! 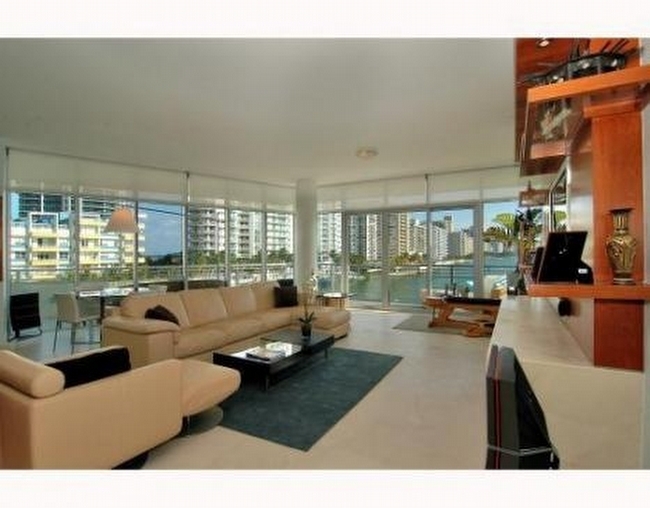 Exclusive, boutique, luxury condo at the prestigious AQUA, a gated community in Miami Beach. 3 Bed / 3.5 Bath. 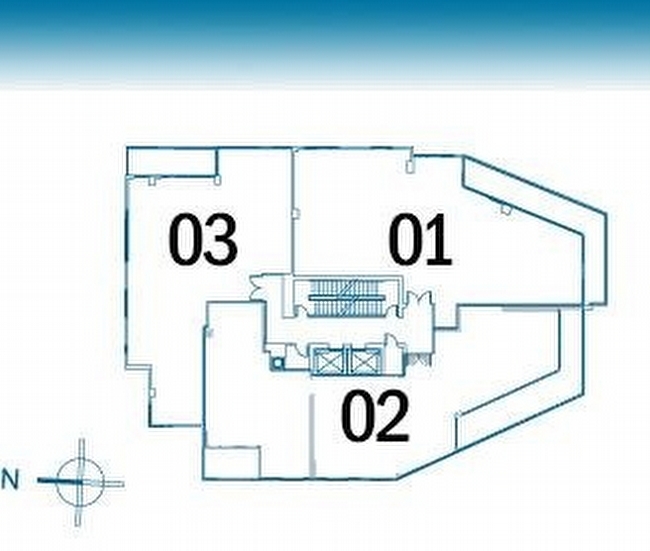 Breathtaking views from every room, top of the line appliances, spacious layout. Incredible amenities including, two amazing pools, barbecue, marina, 5,000 Sqft fitness center, party room, kids play area, 24 hour valet parking, security and much more. Just a few blocks from the beach. 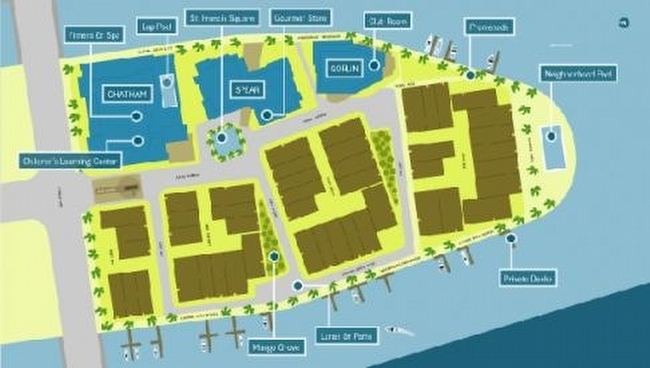 Dont miss the opportunity to live on this high-class private island and enjoy its lifestyle. Very easy to show! BEST VALUE WATERFRONT UNIT in sought after GORLIN building. Spectacular, renovated 3 bed 3.5 bath features towering ten foot ceilings. Italian porcelain wood floors. Bulthap kitchen. Sub Zero, Thermador and Gaggenau appliances. Perfect community for families. Stunning water views at Palm Tree level from large balcony. The Aqua community features a spa, two heated pools for adults and children, fitness centers, and is all just steps away from the beach!